Welcome to the Kapono Store where you’ll find Music, Apparel, Merchandise, Featured Artists and more all hand picked out by Henry. Each order is custom wrapped with Aloha and includes a Mystery Gift from Henry! Aloha - The Kapono Store features merchandise created by the Legendary Hawaiian Musician Henry Kapono. 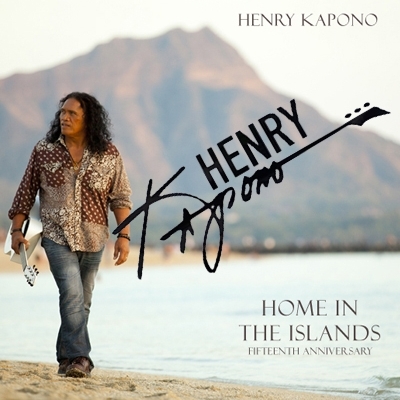 With decades of music behind him and collaborations with numerous other celebrity artists Henry Kapono has created a vast library of music to add to any collection of vintage and current music. Shop The Kapono Store to choose something that will bring Peace and Aloha to you and your loved ones. Get Your “Welcome 2 My Paradise” Official Gear Here! "Welcome 2 My Paradise" CD New Release! Get the Official Gear & Music Here! Check Back As We Are Always Adding Cool New Stuff! You Can Also Download, Listen, Watch or Purchase Music Online Below.